FAQ - Turpin Chiropractic P.C.Turpin Chiropractic P.C. Should I continue chiropractic care even if I don’t have any symptoms? Yes. Just because symptoms disappear, does not mean your subluxations are corrected. Most of the practice members seen in our office have spinal degeneration (decay) which has taken years to develop. The trauma of the birth process, slips, falls, accidents and countless other stresses over the course of your lifetime adversely affect the health of your spine. The longer you wait to have your spine checked by a chiropractor, the longer it will take to correct your subluxations. However, how you choose to use chiropractic care is ultimately up to you. It has been our experience that those who stop care when they are “feeling fine” return with the same health challenge(s) which brought them to our office in the first place…only it’s usually gotten worse. On the other hand, those practice members who commit to long-term, wellness chiropractic care, find their health challenge(s) rarely return and they enjoy a higher quality of life & health. 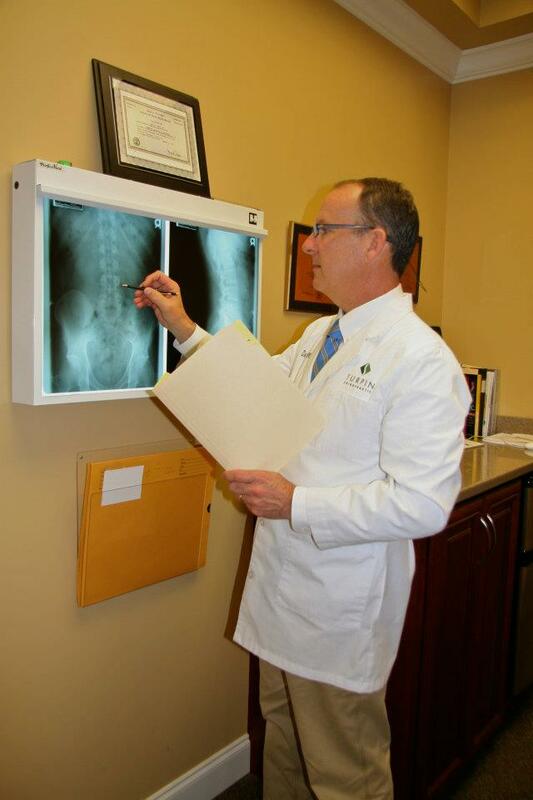 Non-surgical Spinal Disc Decompression is a new technology that has been proven to help disc herniations. It creates a vacuum effect on the disc, which pulls the disc back into it’s normal position and brings in a fresh blood supply to promote healing. It’s very effective for treating herniated or bulging disc, sciatica, back pain, neuropathy and failed back surgeries.